Hello! 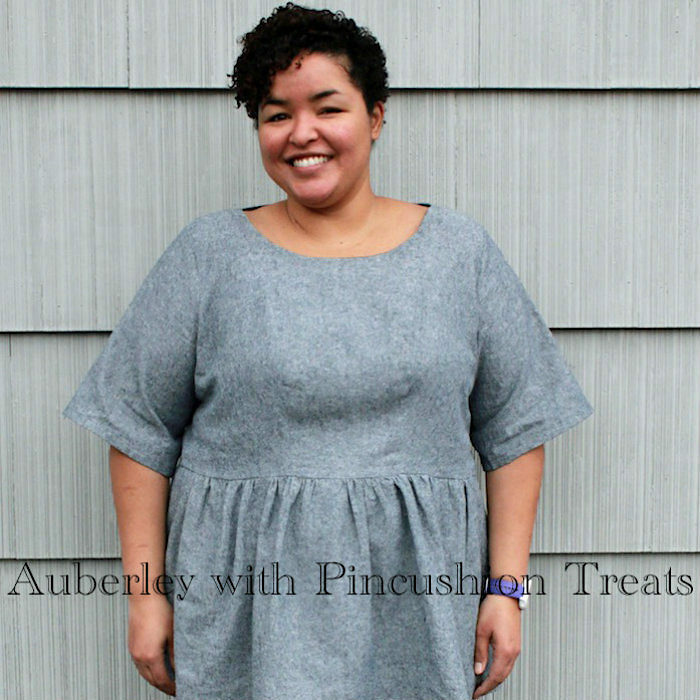 Melizza from Pincushion Treats blog here to share my latest Blank Slate Patterns garment. There’s lots of joyous voices in the air. Our family is here for the holiday season and the house feels bright and full. Yummy spices linger in the air from yesterday’s meals. All the grownups are having a turn with my kids, playing on the floor with them. 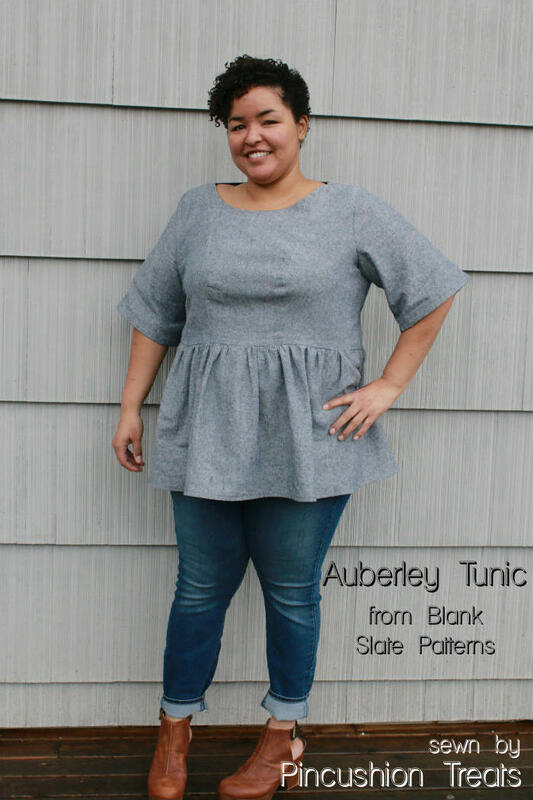 With that last thought, I picked the Auberley tunic to sew this month. 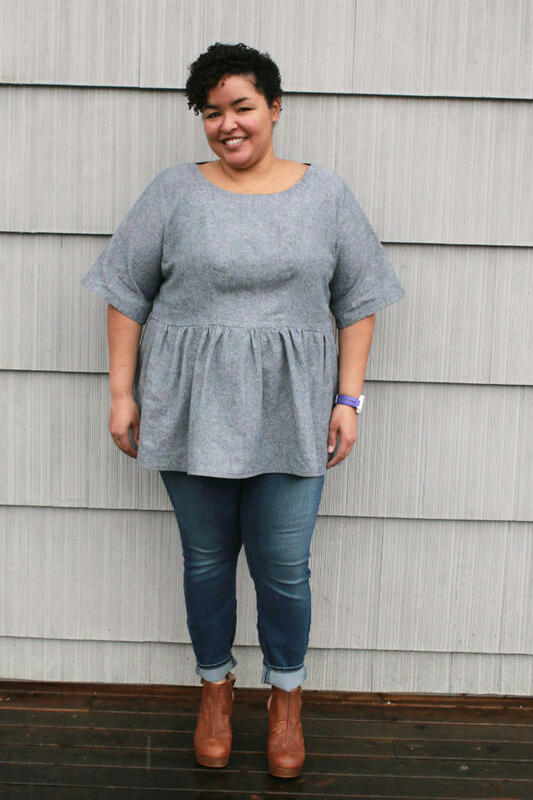 I wanted something dressy enough to wear for our holiday get-togethers, comfortable enough to play with the kids, and a relatively quick sew. Auberley came together quickly once I fitted the bust. And with princess seams, the bust was easier to fit. 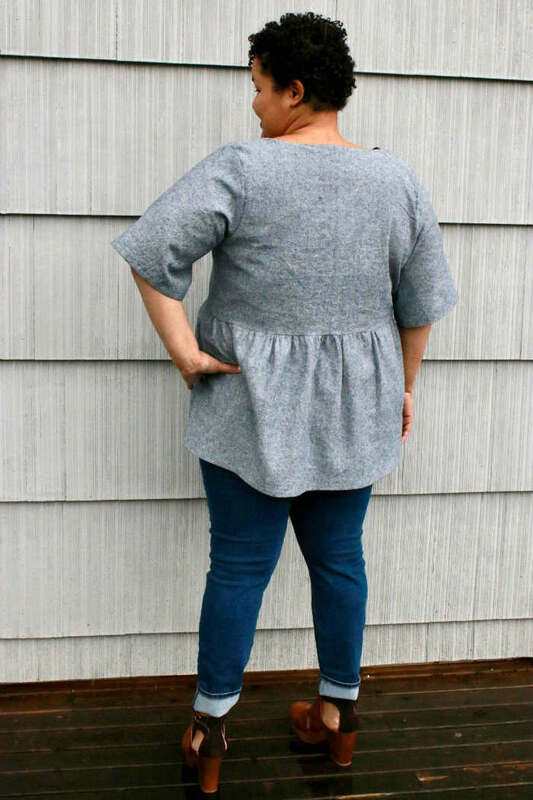 Other changes I did to the pattern were: take a wedge out at the shoulders, lengthen the bodice pieces, lower the bust point, and widen the sleeves. To help to visualize sizing: I cut a 22 at the bust, 26 at the waist and hip. Being Seattle, it’s been quite a rainy winter. We were surprised with a bit of snow, including on the day I shot these photos. So thankful for a husband who will take photos of me during inclement weather. I love the fabric I chose: a black and white cotton-linen blend that looks light grey. The fabric is a bit crisp so the skirt pieces float away from my body. I love the look. My fabric choice helped with making this project come together in an afternoon. It behaved and pressed super well; limiting the frustrations I often find when using slippery fabrics. I'm looking forward to making a couple more! Well, I hope you and yours are having a great holiday. Happy New Year!